Our pals at Black Drove will be returning to New York Comic Con this week to join the Tenacious Toys Collective in sharing a booth space, bringing with them an awesome array of artists toys, ranging from soft vinyl to resin based, as well as exclusive merchandise YOU WILL NOT be able to find anywhere else at NYCC!! Black Drove continues to deliver a ranged scope of talent for this years convention! 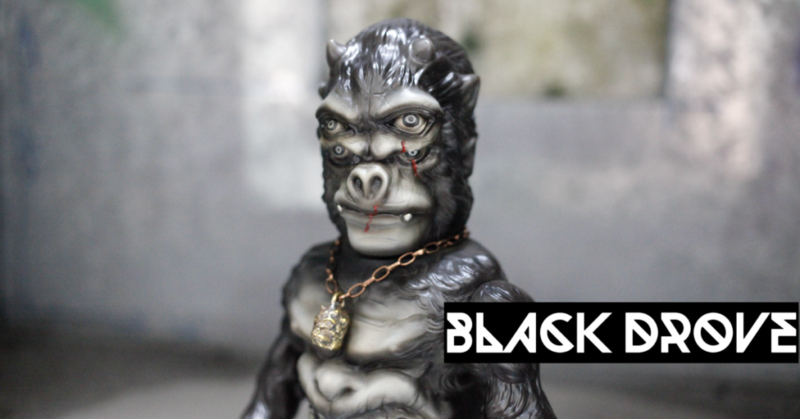 They will have BlackBook Toys on display who have sent in One-Off collaborations with the band Suicidal Tendencies! They will also have a micro run of ‘Big Badger Kaiju’ by Tamotsu Kambe exclusive for New York Comic Con 2018! Gang of Monster, DLL Customs, KTO KTO, and Dream on Studio will also have some exclusives on display for sale with Black Drove to name a few! If you’re heading to NYCC this week, Black Drove will be around on both 4th & 5th of October, and can be found on Booth #780. Go say hi to the krew and see what they’ve got going on. Their booth spaces at other conventions have always been a highlight of the convention. Worth checking out, fo sho! Check out Black Drove on Instagram HERE.